Rochester has many opportunities for acclaimed training programs - from high school and secondary education courses to union apprenticeship programs - which serve as great stepping stones into the construction industry. Invest in your future by investing in your career training. The BAC Local #3 NY has been vital to the development and growth of the masonry and tile fields’ success. Through the apprenticeship program in Rochester, Buffalo, and the Southern Tier, they aim to continue this success by offering masonry apprenticeships that provide training in brick, block, concrete, plastering, restoration and tile, as well as support personnel. The goal of the apprentice program is to provide the highest level of training, with the objective of producing highly skilled, versatile journeymen that bricklayers' employers can be confident will be able to tackle whatever task is before them, ready to meet the professional challenges within the industry today and into the future. The Bricklayers/Tile setter is a four-year program. The program includes both on-the-job training and continuing education. The Carpenters Apprentice Program is a five-year commitment that is a combination of classroom learning and job site employment. Apprentices attend classes for two weeks every six months, a system designed to accommodate the needs of the contractors and apprentices alike. The program allows carpenters apprentices to earn wages and benefits that enable them to provide for themselves and their families, while learning from the most experienced professionals in both training environments. As a result, apprentices are continuously building upon their knowledge and skill base in a practical construction site setting. Laborers' Local 435 provides construction industry vocational training through a full range of classes at the Union Hall and even more classes at the Upstate NY Laborers' Training Facility in Oswego, NY. They offer continuing education programs for members who need to maintain their certifications, develop new skills, and stay current with new trends and technologies. Local 46 strives to ensure safety and productivity among construction laborers through curricular offerings that cover every aspect of construction laborer training. You must apply in person only at the Local 158 District 106 office, 44 Hannay Lane, Glenmont, NY from 8:00 a.m. - 11:00 a.m. and 12:30 p.m. - 3:30 p.m. on application day. APPLICATIONS MUST BE COMPLETED ON THE PREMISES. APPLICATIONS CAN NOT BE MAILED OR TAKEN OFF PREMISES. IBEW's apprenticeship is a 5-year program that is a combination of classroom training and on-the-job training. Apprentices are instructed when to attend school and are monitored on the job by a journeyman electrician. All aspects of this program are important for the apprentice to be able to complete each level of training and move forward, not only in the classroom but also in income. The Sheet Metal Workers provide training in HVAC service work, testing adjusting and balancing (TAB), welding, architectural sheet metal & roofing, computer assisted design (CAD), direct digital controls, HVAC systems/Sheet Metal field installation, shop layout and fabrication, project management, foreman and supervisory training, Industry related safety certifications, welding certifications, and detailing stamps. State-of-the-art training is the key to producing highly-skilled craftsmen – the kind of specialists that are in demand in today’s challenging work environment. Top-notch training in the Plumbing, Pipefitting, and HVAC-Refrigeration trades is more than just education, information and classroom sessions. Its real-world, hands-on experience, too. And that is exactly what apprentices get when they apply for training through the Local 13 Training Center which opened in the Spring of 2007. The Plumbers & Pipefitters' training center is recognized throughout the region for their numerous innovative training and development programs. In fact, the Training Center is the place to receive superior training in the pipe trades. It enjoys a reputation as the training resource for careers in the Plumbing, Pipefitting, and HVAC-Refrigeration industries. Apprentices will enjoy that reputation as well. The apprenticeship program is designed to thoroughly train for an occupation as a pipe trades journeyperson. The Heat and Frost Insulators and Allied Workers Union has always been recognized as the best trained and educated individuals in the insulation and abatement industries. The training that members receive, both on the job as well as through the national curriculum provided by the International Insulation Industry Apprentice Training Fund, guarantees the quality craftsman that the Union is proud of. In addition to the five-year Apprenticeship Programs, Insulator’s Local 26 offers continuing education opportunity that includes journeymen up grade training and certification, as well as an associate’s degree program. Rochester Careers in Construction, Inc.
Rochester Careers in Construction, Inc. (RCCI) is a local non-profit with a mission to expose individuals to the limitless career possibilities that the construction industry provides. Through educating the community and giving job training to students, RCCI is working to enrich and embolden our area's youth to choose to make their path in the industry! RCCI offers the MAPP Program: Multi-Carft Apprenticeship Preparation Program, providing participants an introduction to the Union building trades and an opportunity for Direct-Entry into a registered Union apprenticeship! Rochester is home to some of the greatest educational institutes right in our back yard. With a wide range of programs- from high school to two and four year programs - there are options to fit every person's needs. Students at Edison get hands on experience in every aspect of construction. Students will get chance to use not just hammers and nails but also programs like CAD that teach students not just how to build buildings but how to design them inside and out. There is a lot more to construction than hammers and nails. 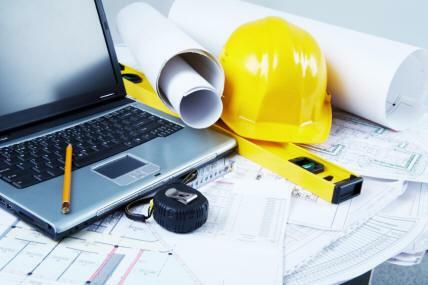 There are many different careers available in this field from designing a house, to figuring out how to build it, to doing the construction, to making repairs. Many of the electricians, machinists, plumbers, and carpenters in this field are beginning to retire- leaving behind lots of job opportunities for recent graduates to fill. Students learn the fundamentals of commercial and residential construction. First-year students learn the fundamental principles and theoretical concepts of wall, floor, and roof framing, and exterior finishes including windows, doors, siding and roofing. Second-year students focus on dry wall, kitchens and baths, trim and painting, and form-building for concrete structures. Training in home energy audits and truss and soffit construction is included with practical applications on site. Students work on other related projects including sheds and decks. This program provides students with a background applicable to both residential and commercial construction. Students learn technical skills in specialized areas of carpentry and cabinet making, residential wiring, plumbing and heating. Training occurs in machine operations, test equipment, hand tools, portable and stationary power tools, pneumatic tools, rigging and OSHA Safety requirements. Students build a house on site every year. This provides hands-on experience in residential framing, door and window hanging, electrical wiring, heating systems, plumbing, siding, roofing, dry wall installation, and interior/exterior trim. Blueprint reading, material codes and specifications are extensively taught. Cooperative work experiences and other work experience opportunities are also available. In addition, students will have the opportunity to produce group and individual woodworking projects, or to work in more advanced areas of the electrical or plumbing and heating trades. In addition to specific courses, MCC also offers a range of certificates and two-year degrees in the construction field. The Building Trades Department is composed of four programs: building construction; heavy equipment operations; masonry; and heating, ventilation, and air conditioning. Rewarding careers in the construction industry are open to students graduating from the building trades programs. With the continual development of new building methods and materials, the craftsperson finds it necessary to keep abreast of these developments. 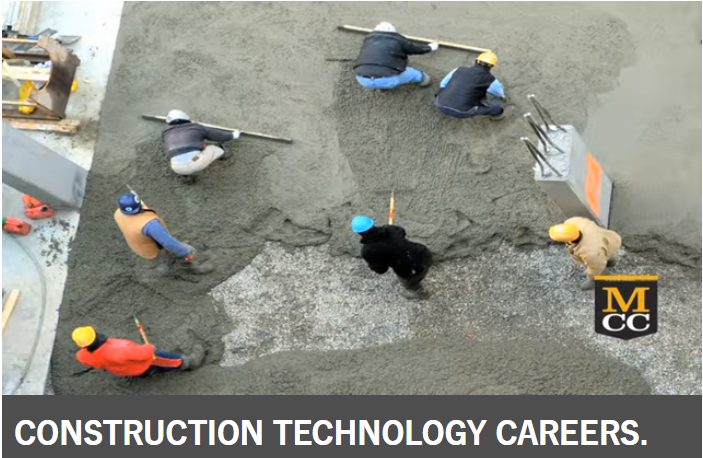 Construction, as in many other occupations, is becoming a field of specialists. Coupled with hands-on experience working at off-campus construction sites, the programs provide the necessary theory as well as instruction in blueprint reading, cost and materials, estimating, safety, and the use of newly developed equipment and materials. Alfred also offers Electrical Trades programs and Construction Management and Technology programs. UNiCON is currently hosting a series of Training Coordinators Workshops. We understand the importance of each union's apprenticeship program, and want to help serve those programs by bringing them together to explore shared interests, services, concerns, and opportunities. If you are a training coordinator and would like to know more about our ongoing workshop series, click here to contact us.